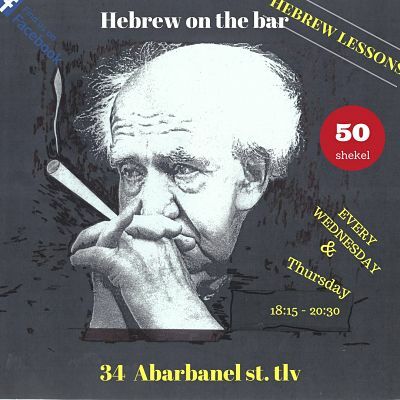 Hebrew on the bar - learn Hebrew fast. no magic involved – simply less students in class. (3-6) Really Small ulpan class! online private lessons are available. and if you are in israel. "ulpan with shlomi was awesome. useful, relevant, engaging. 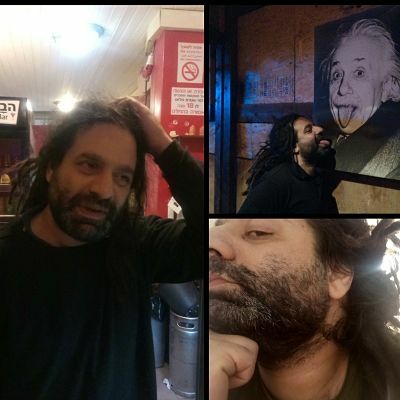 ulpan with shlomi with beer sounds even better. wish i could be there!" "useful lessons. in a good athmosphere execellent after a working day." (you can find all original comments in my facebook page 🙂 ). No Strings Attached Hebrew Lessons. For Only 50n.s You Get More Then 2HR Lesson. The number of attindings at this get together is limited to 14. so hurry and register to insure your place. you also will get for the first lesson a glass of beer. the next lesson you will get a beer only if you will do your homework. if a free beer will not motivate you to do your homework. 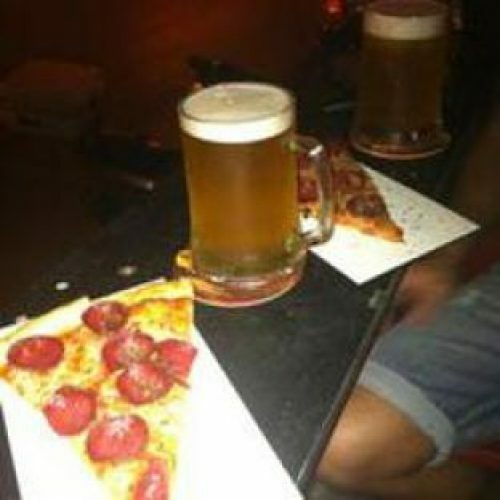 I don’t know what will..
abarbanel is a lovely pizza & bar. loacted in the trendy florentine area. check them out. 60 inch t.v connected to the web in the class. dedicated youtube channel & a web based worksheets, an exslusive variety of apps & web tools connected to our vitual class. no more books from the neolithic period. start doing your homework at work ! smart solution, for smart people, in a smartworld!